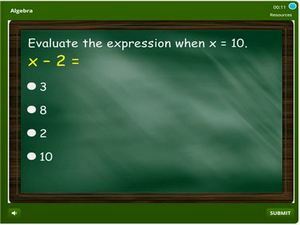 5th grade algebra quiz online – This quiz is all about algebra and contains problems which students need to solve. Algebra unlike other topics in math deals with operations that have numbers and letters as well. 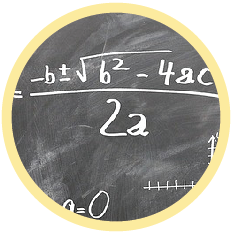 In some cases students are required to make the unknown variable the subject of the formula; in situations where the unknown variable is the only one in the equation, the outcome will be a number which is fitted in the initial operation will balance the equation. 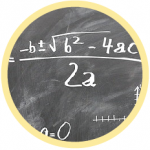 This topic also contains units on simultaneous equations in which students will solve two equations containing tow unknowns at the same time. Start practicing now.